Originally built for William Dineen the aptly named ‘Dineen Building’ is a detailed yellow brick structure that originally housed W & D Dineen Co., Ltd., Hats. In May of 1897 approval was granted to Mr. Dineen to build a 4 story structure on the site at 2 Temperance/142 Yonge Street with an expected cost of $30,000. 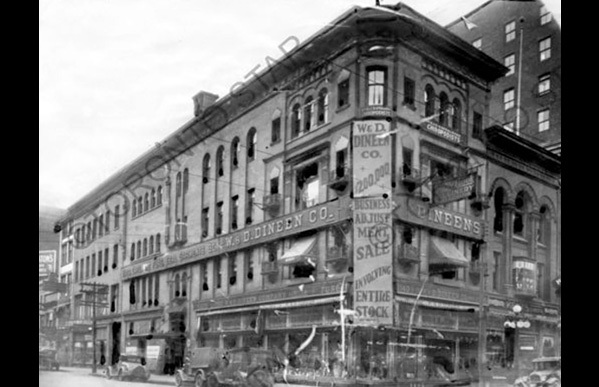 In 1900 the Dineen Building was valued at $80,000. 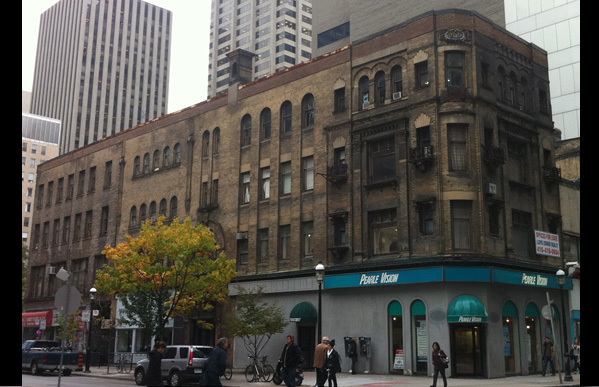 In 2008 the City of Toronto designated 2 Temperance as a historical site considering its value as a surviving example of a late 19th century commercial building. 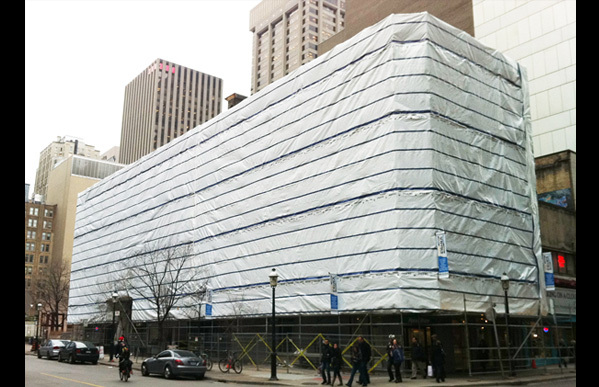 The building, now registered as 140 Yonge Street, has been restored from rebuilding the crown cornice and completely refurbishing the approximate 110 renaissance revival windows to reviving the fine details of the classic JJ Taylor Vaults and original ceiling mouldings. 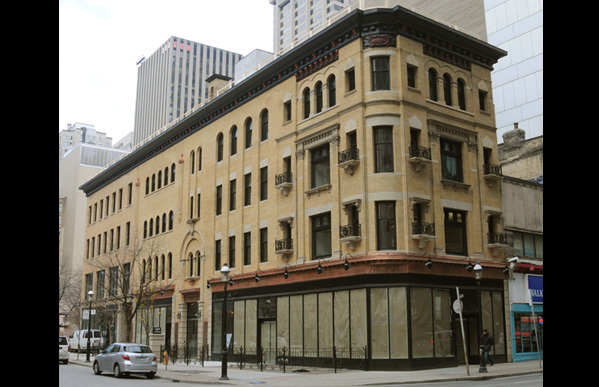 In 2013, the Dineen Building won the Architectural Conservancy of Ontario’s James D. Strachan Award for Craftsmanship which is given for outstanding craftsmanship on a restoration project. It also received Honourable Mention from Heritage Toronto for the restoration and revitalization of the building.